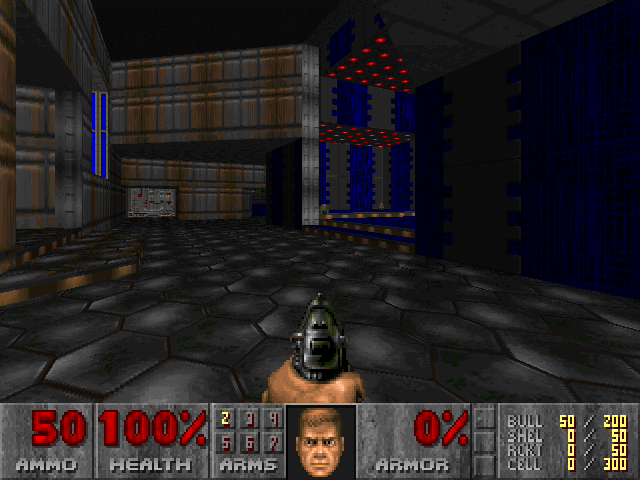 After a long time of development and conception, the first alpha of Doom - The Way id Did has been released to the community. For those who aren' aware of it: The project aims to perfectly and seaminglessly replicate the mapping styles of Doom's original authors. Countless hours have been spent to analyze the original maps in all terms of design (texture choice, gameplay, etc), even John Romero gave his two cents in the original thread as a supporting voice. The final result is an awesome classic megawad featuring 3 episodes of pure and classic oldschool maps that makes up for a great trip to the past. Bear in mind that the current release is an alpha version, so expect flaws and bugs, but please report anything you find and help the developers to fix it up!